France Langue is committed to delivering quality teaching through its qualified and experienced teaching staff. We create an effective learning environment for students, offering a wide range of French courses that fulfil their objectives in the best way possible. Under the aegis of ministerial authorities and working with institutions of higher learning and their associates, Campus France aims to promote French language learning throughout the world, and to improve the experience of foreign students pursuing their higher education in France. CSN is the Swedish government authority that handles financial aid. CSN evaluates candidates claiming financial aid for study abroad programmes in France. For several years, France Langue has been listed by CSN as an approved institution for French as a Foreign Language studies in France. In Germany, the Bildungsurlaub enables professionals from all fields to ask for 10 study abroad days to improve their foreign language skills. 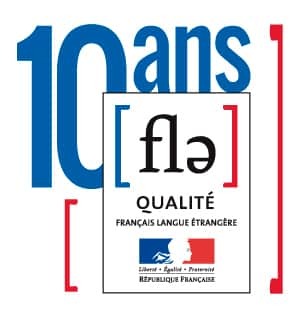 The Agency for Promoting French as a Foreign Language – FLE – is the professional organization in charge of promoting the learning of French in France by people from over the world. The Agency is in charge of the French language professional website www.fle.fr, created in 1996. The Agency welcomes teachers of French from all over the world in Paris at the Librairie pédagogique du FLE – French language Bookstore, where meetings, trainings and lectures are held throughout the year. The Agency also offers its professional expertise to national and international organisations, to support the pedagogical integration of digital tools and resources related to the teaching of French. Atout France is the French tourism development agency. It uses a variety of means to fulfil its three main objectives: promote and develop France abroad, help France adapt to the demands of national and international tourism, and support its public and private partners in their drive to increase economic competitiveness. France Langue partners with the Paris Chamber of Commerce and Industry to prepare students for any of the professional French exams they offer. These exams are internationally recognized. The Paris Chamber of Commerce and Industry provides support and assistance to businesses, and works to develop the Parisian economy across a variety of sectors. The CCIP and its regional authorities support businesses at every step of their development, and get involved with local projects as well. The Paris-Sorbonne University is the biggest university complex in France dedicated to Literature, Languages, Civilizations, Arts, Humanities and Social Studies. In 2012, France Langue formed a partnership with the Sorbonne in order to help you enter this prestigious university. Our Paris Victor Hugo and Paris Notre-Dame schools are language centres authorised by the SELFEE (Foreign Student French Language Exam Service). At France Langue Victor Hugo, you can prepare for the French Language Practical Certificate C1 (certificat pratique de langue française C1) that enables students from European Union countries to dispense with the entry exam for the Université Paris-Sorbonne. At France Langue Paris Notre-Dame, you can prepare for the French Language Practical Certificate B2 (certificat pratique de langue française B2), the speaking and comprehension module that is the entrance exam for those pursuing a Bachelors, Masters or Doctorate degree at the Université Paris-Sorbonne. A real ambassador of the French Riviera, which works closely together with all touristic actors in order to promote the Riviera to the foreign markets.